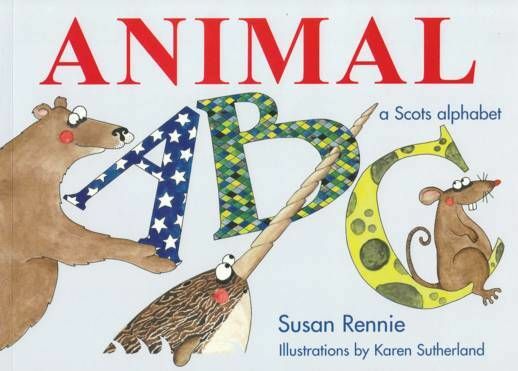 Animal ABC is a funny and fascinating Scots introduction to the alphabet, and to a whole menagerie of friendly and exotic creatures. 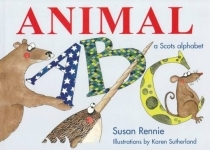 Susan Rennie's carefully chosen phrases introduce the reader both to Scots words and to the animals, and are beautifully complemented by Karen Sutherland's striking illustrations. A Book for learning and pleasure that will be returned to again and again by bairns and adults alike.